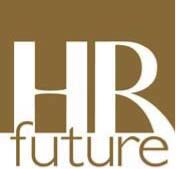 The HR professional and quality assurance body of South Africa, the SA Board for People Practices (SABPP) has launched a national human resource (HR) project to create the first set of national HR Standards at the HR Standards Development Summit on Tuesday, 21 May 2013 in Johannesburg. The variance in standards has resulted in HR professionals generally being taken less seriously than other professionals at companies. A set of 13 national HR standards titles has already been brainstormed by HR Directors and it is now time for HR executives to get together and generate the necessary standards. The standards are strategic HR management, HR risk management, talent management, workforce planning, learning and development, performance management, reward, employment relations, wellness, HR technology, organisation development, HR service delivery and HR measurement. These areas are critical in improving the quality of people practices in organisations.